Call 512-454-8180 Today or Get Started with a certified Rehab counseling! Austin Drug & Alcohol Abuse Program is an established, family owned Rehab Center in Austin, Texas. ADAAP has been helping central Texans escape the despairs of chemical dependency since 1991. Alcoholism, drug abuse and addiction are serious problems that cannot be solved without professional counseling and rehabilitation treatment, which is why our Program is designed to make the most of Texas community resources to win the fight against alcohol and drug addiction for the patients in our alcohol rehab in Austin TX. ADAAP is one of the oldest addiction treatment centers in Austin, Texas. We offer hope to those suffering from addiction and their families, whether they are young or old, whether they are new to treatment or patients suffering from chronic relapses. The Rehab in Austin TX has waited for is here! Afflicted patients of all ages can benefit from Drug and Alcohol Counseling at our intensive outpatient rehab center that operates in conjunction with local organizations like Austin Alcoholics Anonymous, Austin Alanon and Alateen, Austin Crystal Meth Anonymous, Austin Heroin Anonymous and many other substance abuse organizations. ADAAP also participates in the DWI & Drug Offender Education Program offering frequently scheduled classes for court mandated participation. It has been ADAAP‘s mission to create a community support system that coordinates with all local services to give addiction-sufferers help on the road to recovery. We coordinate our Austin Texas Rehab client’s treatment needs with the surrounding alcohol treatment facilities in the Austin area. Alcoholism is a disease. Drug addiction is a disease. We want to help you heal from the pain of chemical dependency and start a new life free of the burdens your addiction has caused. It is vital to your life and to those that love you to find treatment for substance abuse. Please call or email us today to look at your substance abuse treatment options and our rehab in Austin TX. 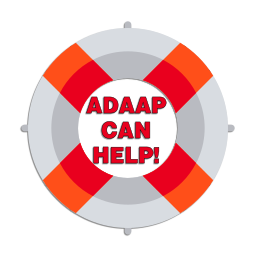 ADAAP accepts several insurance providers and we also offer sliding scale treatments that are income based. If you are abusing prescription drugs, alcohol, narcotics or inhalants, there is no excuse not to call or email our rehab center right away. You need help. The Austin Drug and Alcohol Abuse Program is designed to be that help you need. Please give yourself a better chance of beating your dependency by seeking substance abuse counseling with the ADAAP, a recovery center in Austin, TX since 1991. The drug treatment rehab Austin TX needs is here! Austin Drug & Alcohol Abuse Program has two unique rehabilitation programs. Here at ADAAP we have designed our addiction and recovery program around specific aspects of Terence Gorski’s-Model of Relapse Prevention and the American Psychological Association’s Disease Concept. We separate our Austin Texas Rehab programs between those who may be new to an addiction treatment center versus those who are returning to a substance abuse treatment center, whether they are afflicted with the disease of alcoholism or the disease of drug addiction. ADAAP‘s Intensive Outpatient Treatment Program is our basic rehabilitation service for those who have experienced recurrent issues caused by the misuse of drugs or those who habitually abuse drugs, alcohol or inhalants. ADAAP‘s Relapse Outpatient Drug Treatment Program is specifically designed for suffering addicts who have demonstrated a pattern of relapsing in the midst of their recovery. We help these recurring patients identify critical triggers that may be sabotaging their triumph over chemical dependency. ADAAP also offers a more intensive, 32 hour DWI Intervention Program. Both the Intensive Outpatient Program and the Relapse Prevention Outpatient Program are structured to meet our clients individual needs.